It is now officially summer. Either the calendar told you that on June 21 or it was the 106 degree weather last weekend. Our schedules are now tighter than ever as we run from event to event, bar to bar, swimming hole to swimming hole. That means countless opportunities for food on the run and what screams the loudest in such situations? We say tacos. > Website Epicurious (epicurious.com) listed “The 10 Best Tacos in America.” They mentioned Tacodeli first. > Rachael Ray and company embarked on a mission to find “The 64 Best Tacos in the Country,” breaking them down by region. In all of the South, she listed 4 of Austin’s finest taco joints: Veracruz All Natural, Tacos La Flor, Papalote Taco House and El Borrego de Oro. 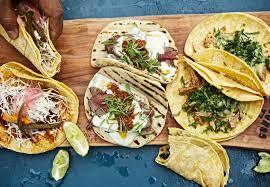 > Food & Wine broke out the “Best Taco Spots in the Country” and Austin made the list of 7, naming La Condesa. Not exactly what we’ve come to expect from the refined crowd of Food & Wine but we’ll take it. > The latest edition of Southwest’s in-flight magazine featured Paul Qui on the cover, having him rate his Top 5 tacos in the city. Qui named Tacodeli, Maudies, Piedras Negras, Chi’lantro and La Condesa. > Lastly, even the New York Times wrote an entire article praising Austin as having “The Best Breakfast Tacos in America.” In this “list”, Austin ranked #1 out of 1. There are almost too many places that serve tacos in the city. So, for LIVIN Austin’s list, we excluded Mexican restaurants that serve tacos. While Maudies, Matt’s El Rancho and Juan in a Million serve up excellent tacos, they’re not exactly the first that come to mind when you say, “Let’s grab a taco.” As mentioned previously, it’s summertime, we’re on the go, and in Austin, it’s socially frowned upon to eat at fast food chains. Actually, it’s downright foolish to do so with so many great local flavors around practically every street corner. With that, LIVIN Austin breaks down “The Top 10 Places to Grab a Taco in Austin.” Here they are, in no particular order or rank. As always, critiques and comments welcomed. Translates directly as “black stones.” Somehow, that also translates to “best damn taco joint you could pass by 57 times and never notice it until one day, on the 58th passing, you stop by, grab a taco and become forever changed” in Tex-Mexican English. Yep, what this place lacks in aesthetic grandeur, makes up for in Al Pastor. The fajita gordita, deep fried and smothered in fixins’, is also to die for. Be careful, though – it’s one of the more expensive items on the menu at $3 (most tacos are “modestly” priced at $2). Also, they’re cash (and change) only. As if that’s not enough, the final kickers are as follows: A) Mexican Coke and B) The hours – open from 7 am to 3 am. Although they’re probably best known for their kimchi fries, the tacos are one of the more legit this side of the Texas-Mexico-Korean border(you know, if there was such a thing). 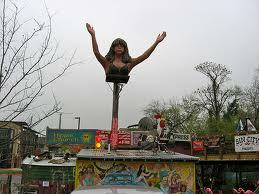 They have 3 trucks that roam throughout Austin on a relatively set but altering schedule (check it out here). All you really need to know about the tacos is that they’re filled with bolgogi, which is “Korean ribeye fire meat.” They’re probably the only spot more on-the-go than you so plan ahead. Located within the White Horse, these tacos perfectly compliment the live music, tap-whiskey and dancing. Whether you go with pulled pork, chicken breast or al pastor, you’ll never go wrong. This combo is a match made in East Austin. Many people I know scoff at this entry mainly due to its nationwide popularity. But there is no denying the flavor. There is also no denying their accolades since opening in 1999: Best Taco (Austin Chronicle 2008), Best Lunch Taco (Austin Chronicle 2006), Best Breakfast Taco (Austin 360), 63 Tacos You Must eat Before You Die (Texas Monthly 2006), to name a few. What does it for me, personally, is their award-winning salsas: salsa dona, salsa roja, salsa verde and salsa habanero. And their green hot sauce – wow. I’m simultaneously sweating and licking my lips as I write this. There’s now seemingly one on every corner but who said convenience and accessibility was a bad thing? Between the Green Chile Pork, Trailer Park (fried chicken and “trashy” – substitute queso for lettuce), The Democrat (shredded beef barbacoa with avocado) and Brush Fire (Jamaican jerk chicken with mango), Torchy’s packs a flavor punch. 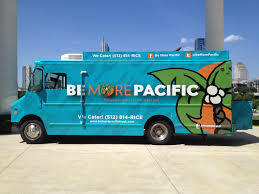 I specifically remember the first time I bit into one of their tacos. I even remember the date, time, setting and people I was with. Furthermore, I can recall the same about the 2nd time I crushed them. As they would put it at Be More Pacific, I “rewanted” it. Needless to say, their flavors are etched in my brain for life. Just as Chi’lantro infuses Korean into the mix, this spot follows similar suit with “Filipino Comfort Food.” I firmly believe that the more international cuisine mixing we welcome, the happier we’ll all be. A guilty pleasure of ours but c’est la vie. We recommend the El 4/20 (carnitas), the Street Taco (grilled sirloin steak, caramelized onion, avocado), El Porko (pulled with Achiote sauce and habanero salsa) or the Whole Mole (pulled chicken, mole sauce, queso). They call this their “Munchie Lunchie” menu. Rightly so. OK, admittedly, this more of a restaurant than a “grab-n-go” spot but I didn’t have the heart (or the stomach) to leave them off. This is mainly due to phrases like “rotisserie chicken, citrus rub, salsa verde” (Pollo Rostizado), “orange & banana leaf-marinated berkshire pork, pickled red onion, pickled jalepeno” (Cochinita Pibil) and “griddled texas redfish, chipotle aioli, salsa morenita” (Pescado). When it comes to opinions regarding cuisine, you simply can’t argue with James Beard, as they were nominated for the foundation’s award for “Best New Restaurant.” Combine the above with one of their signature cocktails and you have your downtown “go-to”, perhaps prior to an ACL taping. 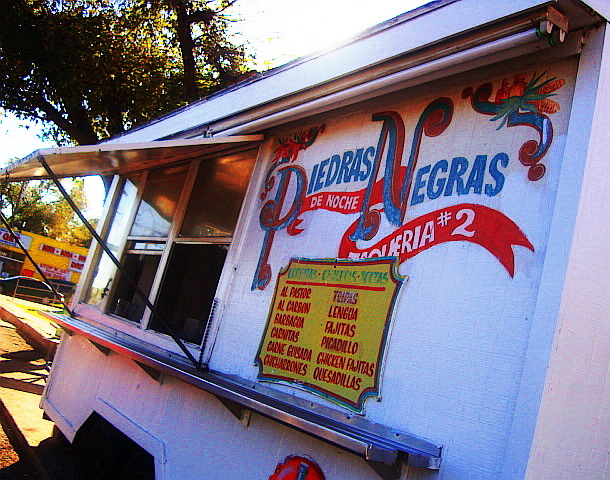 This modest trailer on South First sports some of the finest carnitas in the city. Their brilliance is in the basics as their tortillas are made to order. Although it could be mistaken for a florist shop (due to a rose on their logo), they’re the real taco deal. You might know this spot more for its decorations but don’t let that overshadow their awesome breakfast and specialty tacos. They have all the classics but it’s their simplicity that makes them great. 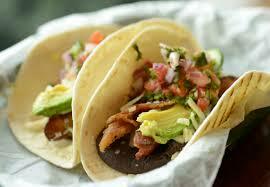 We recommend the “blind taco” (inquire within). If you ask 10 people to name their 10 favorite taco joints in Austin, you’re likely to get 10 unique answers with just a few overlaps. Having said that, let the debate begin. Over a taco, of course.